Welcome to the Fit Small Business Xero training course! In this lesson, we’re going to cover how to receive customer payments in Xero. Why Is It Important to Receive Customer Payments? As a business owner, it is very important for you to keep track of the money that is owed to you, otherwise known as your accounts receivable balance. One of the ways you can do this is to create and send customer invoices using Xero. This gives you access to financial statements that are always up-to-date. The accounts receivable aging report is one of the key reports that will help you to track and manage your outstanding invoices. In this lesson, we discuss how to receive customer payments; in the next lesson, we’ll show you how to create the A/R aging report and use it to get paid faster. When a customer payment is equal to the outstanding invoice(s) that you have on the books, that is considered payment in full. If a customer sends a payment in for an amount less than their outstanding invoice(s) that is considered a partial payment. Xero also allows your customers to make payments online. In how to set up invoices, we showed you how to link a payment service to your Xero account. 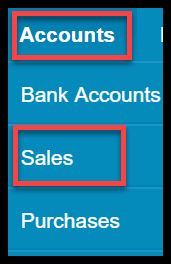 Step A – Navigate to Accounts and select Sales as indicated in the screenshot below. Navigate to Sales section of Xero. 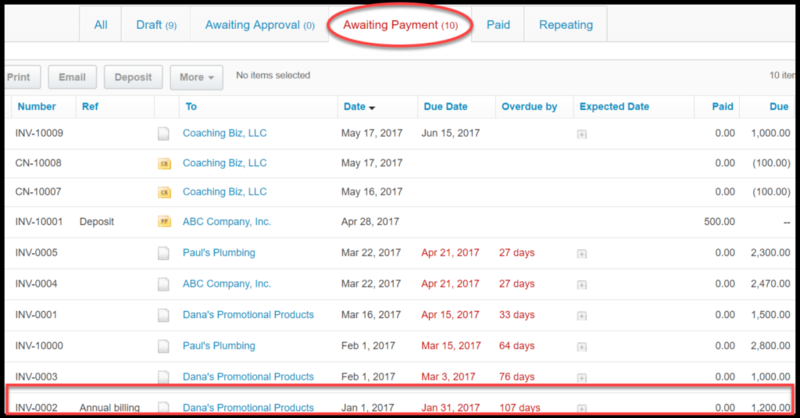 Step B – Click on the “Awaiting Payments” tab and click in any row to select the invoice you would like to record a payment for as indicated in the screenshot below. Invoices, Credit Notes and Prepayments Awaiting Payment in Xero. Step C – The invoice will display as indicated below. Step D – Scroll down and you will see the Receive a payment section right below the invoice. Complete the fields as follows in the screenshot below. Receive a payment in Xero. 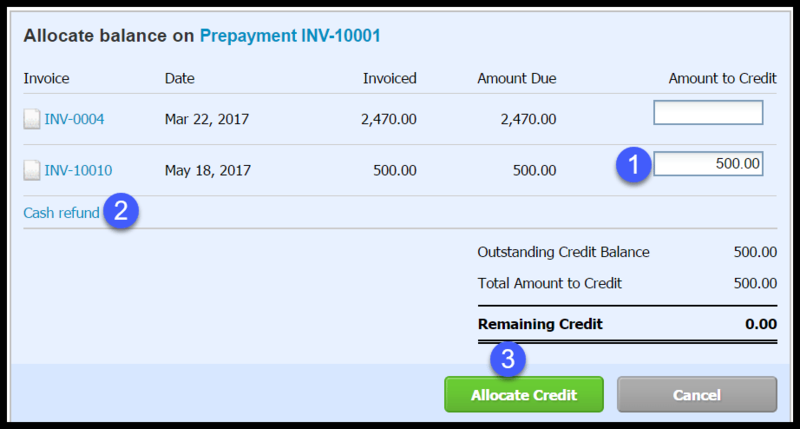 Amount Paid – This field will autopopulate with the total amount due for the invoice. If the customer payment matches this amount (payment in full) then you can leave it as is. However, if the customer’s payment is less than the amount in this field(partial payment), enter the amount of the customer payment in this field. Note: While this has never happened to me, you may encounter a situation where a customer sends you a payment that exceeds the outstanding amount due (i.e. overpayment). Go ahead and enter the amount received from the customer. You can learn more about how to handle overpayments here. Date Paid – Enter the date that you deposited the payment in your bank account. If you have not made the deposit yet, then enter the date that you plan to make the deposit with the bank. Note: In order to avoid issues with reconciling later on, you need to ensure this date is as accurate as possible. Paid To – From the dropdown, select the bank account that you deposited the payment into. If you have not set up your bank account yet, you must do so before you can record customer payments. Reference – In this field, you can enter the customer’s check # if applicable or any other info that you would like to include as part of the payment. Add Payment – Once you have completed all of the fields, you can click the “Add Payment” button to record the payment. Step E – Once you record the payment, you will see the following message. Behind the scenes, Xero will mark the invoice as paid. Step F – You can send your customer a receipt by clicking on the Send Receipt link shown in the previous step. When you select this option, you will see the following template that you need to complete before sending the receipt to your customer. Send a Customer a receipt in Xero. Send receipt to: Xero will automatically populate this field with the email address you have saved in the customer contact details. If you have not set up an email address or if you would like to add additional recipients, you can do so directly in this field. Use branding theme: This field will automatically populate with the branding theme (template) that you set up in the how to set up invoices lesson. You can select a different theme (template) from the dropdown. Email template: This field will automatically populate based on your email settings. You can learn more about how to your email settings for documents sent to/from customer and supplier contacts here. Subject: This field will automatically populate with a standard subject. You can make any changes that you would like here. Message: Xero will include a standard message similar to the one shown here. You can make any changes to send a more personalized message to customers. Send me a copy: By selecting this checkbox, you will receive a copy of the exact email that your customer will receive. 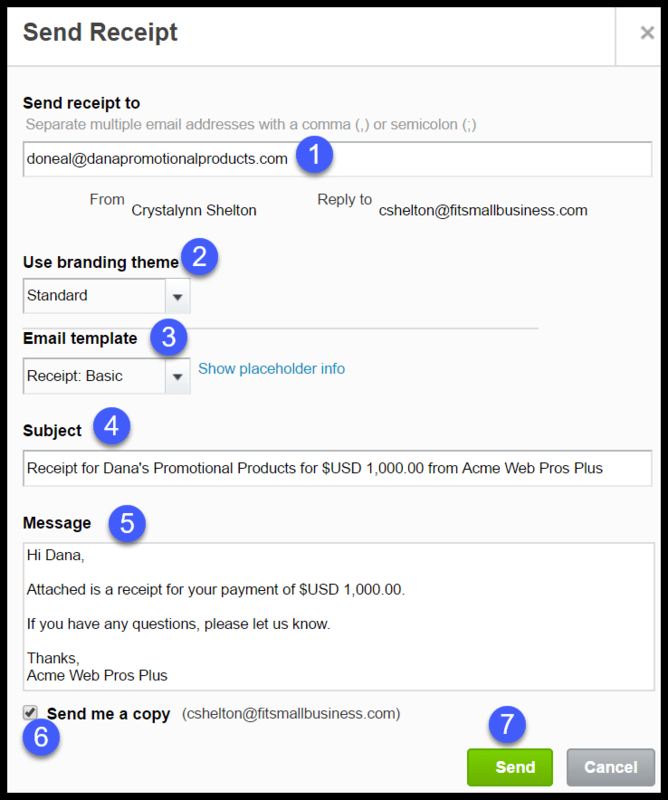 Send – Once you are satisfied with the message, click the “Send” button and your email along with a PDF attachment of the customer’s receipt will be sent. In how to manually enter bank/credit card transactions, we showed you how to record prepayments received from customers for products/services that you will provide sometime in the future. Let’s walk through the steps to apply prepayments to customer invoices. Step A – Navigate to Accounts and Sales as indicated in the screenshot below. Navigate to Sales section in Xero. Step B – Click on the “Awaiting Payments” tab and click in any row to select the prepayment you would like to allocate as in the screenshot below. Note: Prepayments will be tagged with “PP”. Step C – The details of the prepayment will display in the next screen. From the “Prepayment Options” dropdown, select Allocate Credit as indicated in the screenshot below. Step D – In this screen, you will see a list of all open invoices for the customer as indicated in the screenshot below. Allocate a Prepayment in Xero. Amount to Credit – Enter the amount of the prepayment that you would like to apply to the appropriate invoice. Cash Refund – If you would like to refund the deposit back to the customer, select cash refund. Allocate Credit – Once you are satisfied with your selections, click the “Allocate Credit” button to save your work. Note: If you do not want to allocate the credit to the open invoices listed, you can create an invoice and then return to this screen to allocate the prepayment accordingly. That wraps up the section on how to receive customer payments. The next lesson in our Xero Training Course will be how to create an accounts receivable aging report. In this lesson, we will show you how to run an accounts receivable aging report and use it to manage your A/R balance so that you can get paid faster. To access this lesson or any of the others in the series, click here. For a free 30-day trial of Xero, click the link below. How can I do tagged with “pp” invoice? In step 2 of the How To Receive Payments in Xero tutorial covers how prepayments are recorded. Prepayments are entered into Xero as deposits and that is how the designation PP appears next to those payments.